INDUSTRY.co.id - Palangkaraya- Department of soil science and land resources, Faperta Insititut Pertanian Bogor (IPB) argues, peat regulation that still refers to the map 1: 250.000 scale can not be the basis justification of mapping of peatland really. The government needs a large-scale map of at least 1: 50,000 and complete data on the extent of the area as a reference to make peat regulation. If peat regulation is 'forced' only by referring to incompatible maps, there will be a lot of problems coming up because the government's peat regulation is not made on the basis of data and facts. "Harmonization of peat utilization and conservation in Indonesia through responsible land management in Palangkaraya, which lasts until Friday (8/9/2017). According to Darmawan, the government needs a map with a large scale of at least 1: 50,000 and complete data related to the extent of territory as a reference for the implementation of restoration. The 1: 250,000 peatland maps is still too rough and can not be used as a basis to justify the real mapping of the land. Detailed mapping and analysis of hydrotopography and peatland cover that will be the basis for the physical work of peat restoration, is required for an accurate peat restoration plan. "Inaccurate mapping is like watching someone from a distance. Not visible between the head and body there is the neck. These raises a lot of associations such as opinion may be lower head of the neck and the other. On a good and accurate map should all the details, clearly visible, "said Darmawan. Darmawan added, the map does not detail that also causes data on peat area vary. 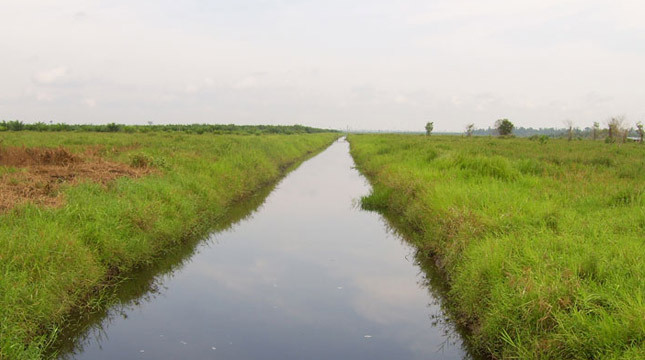 Ministry of Environment and Forestry stated that the peat area is more than 20 million hectares. Meanwhile, the geospatial information agency (BIG) called the 'agreed' data of the Ministry of Agriculture, and KLHK only about 14 million. A similar statement was made by the chairman of the Indonesian Peat Association Prof Supiandi Sabiham. He believes that today many new studies from universities and research institutions can be used to make remedial efforts on peatlands. According to Supiandi, in order to sharpen his scientific argument, the results should be discussed in a scientific forum to further enrich the field of science and accuracy. "HGI always breaks with to discuss related peatland utilization in Indonesia with all parties." He added that the peat map with accuracy is necessary because the need for land for various uses including agriculture in Indonesia is very high. On the other hand the availability of productive land for agricultural development is increasingly limited, leading to sub optimal utilization such as peatlands becoming an alternative for agricultural development. Peatlands for the people of Indonesia have a very important value because it provides wood and non-timber forest products, storing and supplying water, storing C, and is a habitat for biodiversity with various types of rare flora and fauna.